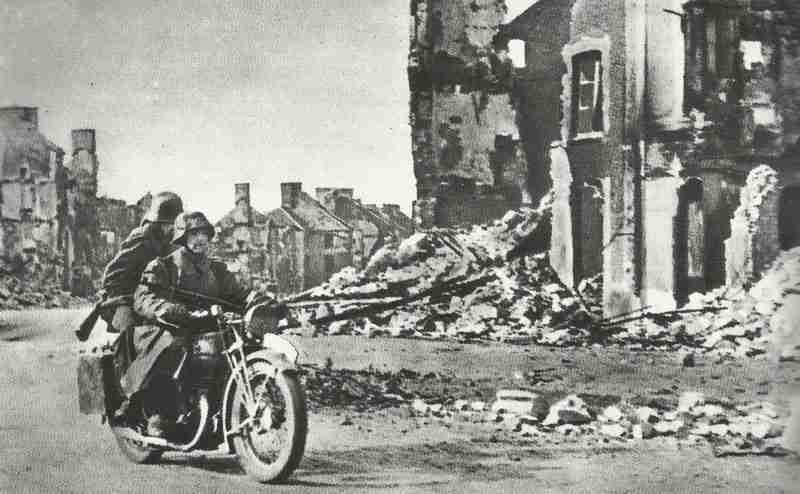 Artillery fire and bombs have smashed the German communications network, so motorcycle messangers must deliver the orders. German 7th Army with­drawing from Mortain-Vire sector towards Argentan and Falaise. PLUTO pipeline in operation between Island of Wight and Cherbourg. Europe: Italian-based US bombers attack Bordeaux-Merignac air­field, then fly on to Britain.